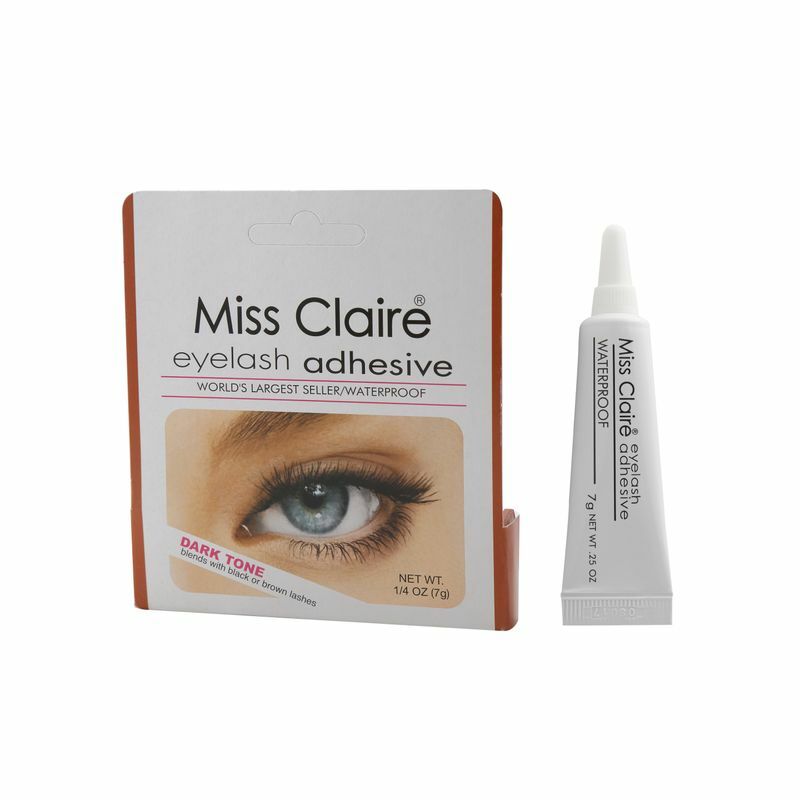 Miss Claire Eyelash Adhesive is a deep grey tone eyelash adhesive that is easy to apply, long lasting formula and can be used alongside any false eyelash product. 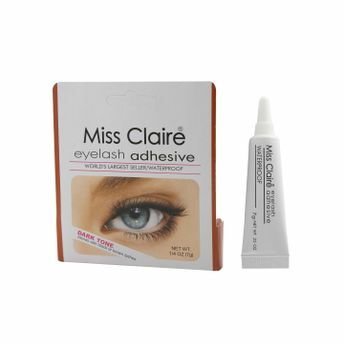 The eyelash adhesive dries dark so if you make a mistake, it just looks like you're wearing liner. One tiny drop is all you need for an entire lash, so a tube lasts for a long time. About the Brand: Presenting an entire colorful range of face, lips and eye cosmetics that enhance your beauty and amplify your daily make-up looks. Loved by makeup fans across India, Miss Claire Cosmetics are of premier quality, trendy, affordable and are formulated using the finest ingredients that care for your skin. The products are manufactured in accordance with European Standards. Choose from a huge range of Miss Claire makeup and beauty products right from lipstick, bronzers, highlighters, foundation, eyeliners to concealers all available in highly pigmented formula and textures. Miss Claire makeup products are affordably priced, are long lasting and suit all skin tones and skin types.